WARNING: This Steinel offering is a +P round and should only be used in firearms designated as such. In this TTAG exclusive, (https://www.thetruthaboutguns.com/2018/11/josh-wayner/ttag-exclusive-ammo-review-steinel-38-special-125-gr-p-snub-nose-pro/) I will be taking a look at the brand new, purpose-made Steinel 38 Special +P 125 gr Snub Nose Pro ammunition. I have the honor of being the first to use this new load and put it through its paces at the range. 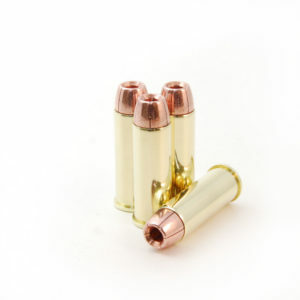 I love to see new ammo that’s specifically made for one of my favorite types of guns, the snub-nose revolver, which is also a perennial favorite and the EDC choice of many people. Picked up a box of these to test; loved the results. I chronographed them in both a 2” Charter Arms and a 6” Ruger Security Six, getting velocities of 1055fps and 1140fps respectively. Those are more than adequate to get consistent penetration and opening from a solid copper hollow point. Good looking, good performing ammunition; can’t wait to get more! And shipping was fast, so it won’t take long!